You're Having a Baby! Yay! PaperRozzi offers full invitation lines, gifts, accessories and more for all your events! We feature invitations from: Smock (letterpress), Monique Lhuillier (letterpress, engraved and thermography), Checkerboard, Kramer Drive (for parties, save the dates, showers, thank-yous, and more), Carlson Craft, McPhersons and Birchcraft. 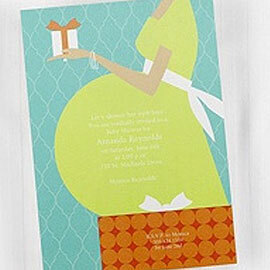 We also offer custom invitations as well as a host of other invitation services.